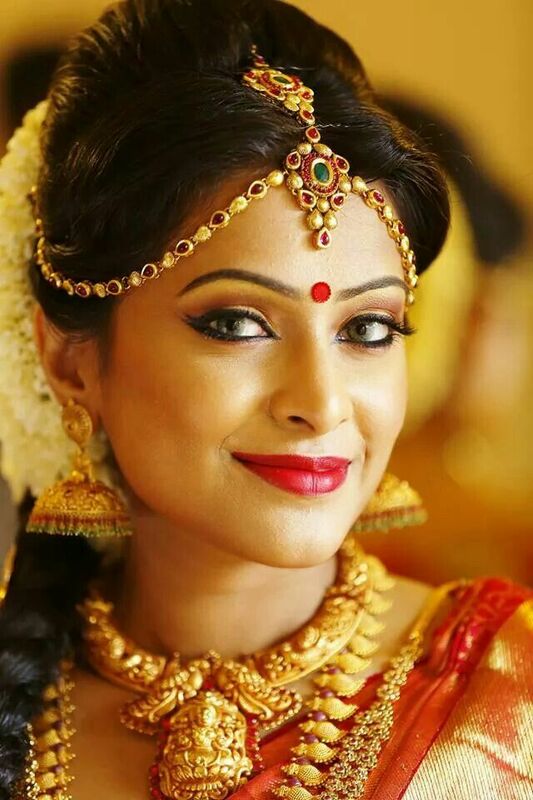 Zuri presents a few extremely important makeup and beauty tips for all the lovely South Indian brides getting married this summer! Follow these easy steps for a glowing look on your wedding day! A traditional South Indian wedding is quite a spectacle in its own right as its nuptial functions represent elegance and symbolism of their culture. Unlike, its northern counterparts, wedding in Southern India are celebrated in a more conservative manner with little or no pomp and show. Bride looks their traditional best with heavily embroidered silk sarees, kanjeevaram sarees and madisar style 9-yard saree, which are carefully selected and draped. And not to forget, the antique style temple gold jewelry pieces that look spectacular. The muted gold finish is another distinctive aspect of the South Indian weddings that complements the overall bridal look. 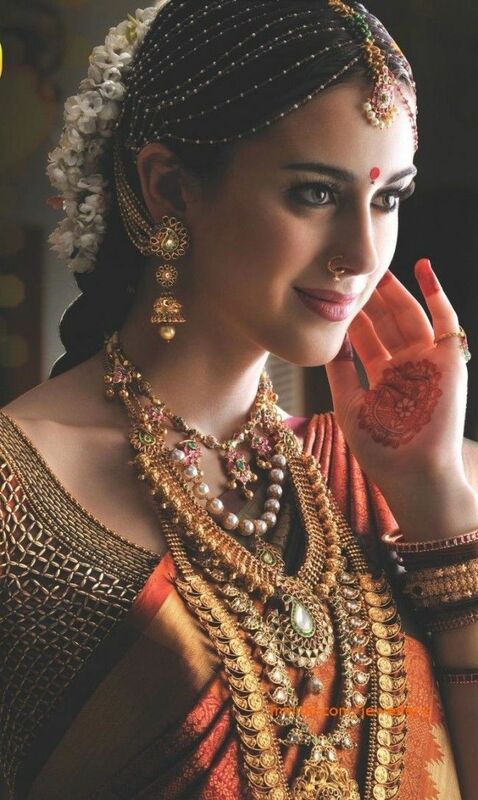 South Indian brides need to be careful while choosing their perfect bridal makeup look as they are already wearing heavy embroidered silk sarees and multiple layers of jewelry. Besides hiring an experienced makeup artist, these are some important makeup and beauty tips that Zuri would like to share with you. These tips will help you to bring out your natural beauty and make you look your prettiest best. 1. While selecting colors for your makeup look keep in mind to match them with the attire and jewelry. This includes makeup for the eyes, lips, face and neck area. If there is too much color in your attire and jewelry, then we suggest that you use colors that complement your overall look. Dusky skin tone beauties look stunning in bright shades like red and coral. 2. You can choose to make either the eyes or lips as the focus area of your makeup. If you have to change multiple outfits, then we suggest that you stick with colors like gold, bronze, neutral shades of brown and pink. Make sure to highlight your features with bold and dramatic eyeliner. 3. On your wedding day opt for a long lasting lipstick and reapply lip balm to keep lips moisturized. 4. Apart from the makeup, having a great skin is also of utmost importance. To have a great skin on your big day, it is recommended that you start early on. If you are suffering from any skin issues like acne then get it treated with the help of a dermatologist. 5. Whether you realize or not, what you eat impacts your skin. Avoid oily, junk and overly spicy foods, and limit caffeine from your diet. Also, drink 8-10 glasses of water to keep your skin hydrated and glowing. 6. Include the following treatments in your pre-bridal ritual– bleach, body scrub and massage, and facial. Do not try new treatments or cosmetics as it might cause rash or an allergic reaction. It is best to stick to products that you know are skin safe. 7. We know, late nights are common when there is so much to take care of. But try and get at least 7-8 hours of your beauty sleep especially when the day of your wedding is near. Tired and puffy under eyes will not look good in the wedding pictures. 8. To protect the skin from external damage, always wear a sun block when you plan to head out and carry an umbrella too. 9. Follow the CTM (cleansing, toning and moisturizing) routine every night. Following a CTM routine will help your skin to better respond to all the skin treatments and care. 10. Last but not the least, it is important to properly shape your eyebrows before the big day as it helps a great deal to shape your face.